John won with his story “Scene Stealers.” He previously won our May 2012 contest. 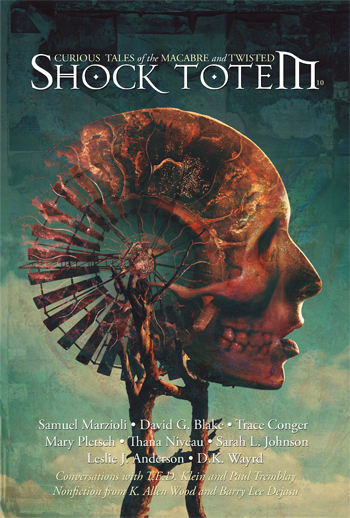 That story, “Magnolia’s Prayer,” was then chosen as the overall winner for the year and was published in Shock Totem #6. The rules were simple: What is it for? Where does it lead to? What’s it’s like on the other side? Who—or what—is over there at the end of the line? 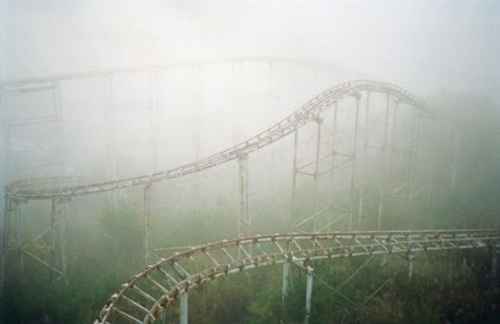 Because obviously this isn’t a normal roller coaster. Guzman had a very decisive win, but let’s not forget Second Place winner Paul Edmonds, who won with his story “My Father’s Construction.” And Michael Wehunt placed once again, with “Always Hold Your Loved Ones Close.” This is Michael’s eighth top three finish in nine contests, three of which placed first. John’s story, plus this year’s four previous winning stories, will be judged by a neutral reader (someone who is not on the staff and has not participated in any this year’s previous contests), and the story he or she chooses will be published in issue #8! 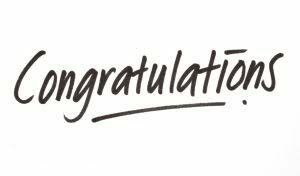 So a big congratulations to all the winners throughout 2013! It’s no secret that I’m a fan of Lee Thompson’s work. He writes fast, he writes hard, and he comes up with beautifully tragic stories that are both engaging and soul-crushing. 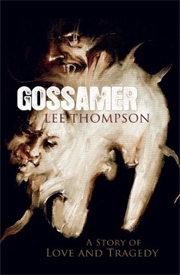 Gossamer: A Tale of Love and Tragedy is no different. From the very beginning, we’re tossed into an uncomfortably unflinching look at love and loss. Dorothy is a little girl forced to watch her father denounce her mother as a witch. As the sentence is passed, Dorothy hardens her heart and promises revenge. The main story has to do when Dorothy has lived several lifetimes. She resides in the small town of Gossamer, guardian of an area filled with people that she grows to care for. Then her loneliness puts the residents of Gossamer in danger, and everything changes. Lee has a clean, easy prose that still manages to be beautiful. He’s especially gifted at writing women, which is rare to see from a male writer. His portrayal of Dorothy and her aunt are both strong and chilling. Later in the book, we are introduced to two more strong mother/daughter characters, and the ineffectual boyfriend. It’s interesting to see the spine and determination in these women, and how far Lee is willing to push them until they either push back or break completely. This book is full of witches and vampires. It’s full of magical carousals. It’s also full of betrayal, love reciprocated and not, and cowardice. 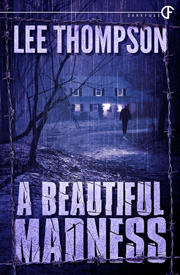 Lee takes the unlovely parts of real life and sets it in a setting so deliciously bizarre that you think you’re simply reading a story, when in fact you’re listening to a man sitting across from you and telling you all about pain. Gossamer goes down easy and leaves a bitter aftertaste. It’s dark and lovely. I’d recommend it. 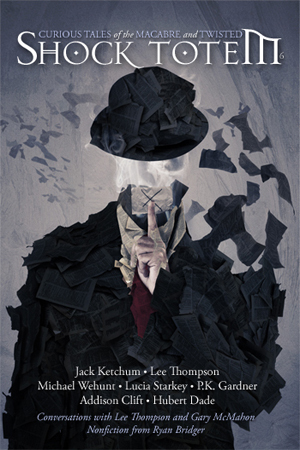 Russ Thompson over at Hellnotes has reviewed Shock Totem #6. This year’s judge was up-and-coming horror scribe Adam Cesare, author of the brilliant Tribesmen, Video Night, and the just-released Bound by Jade novella. Of the five bi-monthly winning stories from 2012, Adam chose “Magnolia’s Prayer,” by John Guzman, as the winner. This story was based on the strange prompt of undelivered mail. You’ll be able to read “Magnolia’s Prayer” in issue #6.